Ensuring that you have a positive, well maintained office environment is essential when operating a successful business. Poor workplaces can lead to lack of motivation and boredom of staff, having a negative impact on productivity. It’s also important to provide the right impression to clients, which a run-down and poorly maintained office will not do. 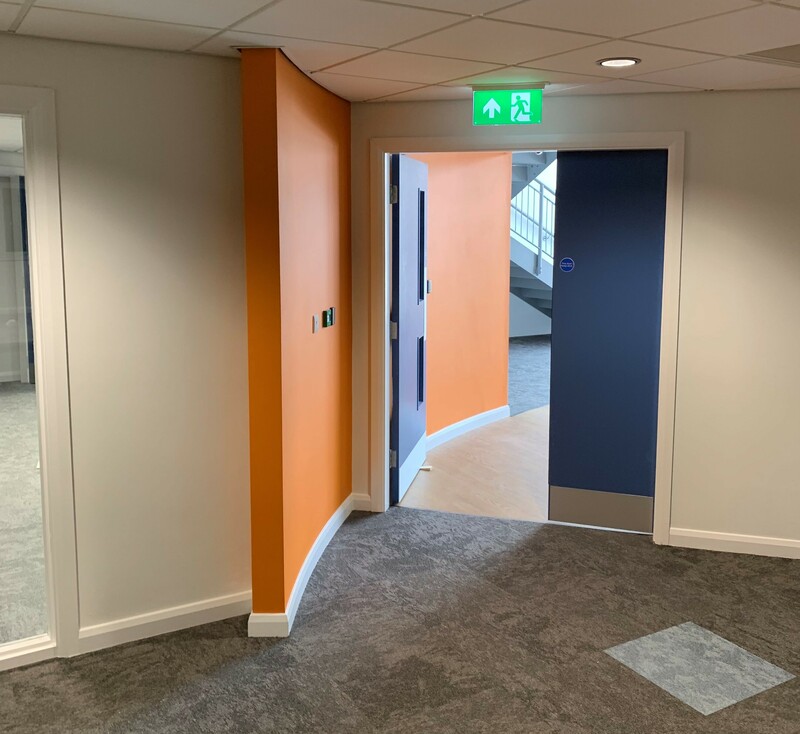 Recently, our team completed a full repaint for Staffordshire house offices in which we were tasked with completely transforming the interior. The office block and reception area required a complete paint makeover, with new colours and even feature walls. The aim of this was to provide a modern and creative environment for staff and clients. Using bright colours, we painted feature walls throughout the property to complement the neutral tones on neighbouring walls. This way, the rooms had a pop of colour without appearing too overpowering. Feature walls are an excellent way of subtly adding colour or texture to the interior of a commercial property, especially if furniture and accessories will not achieve this. We always use the highest quality paints when carrying out our projects, all of which have long-lasting finishes. When it comes to office properties, we understand the need for colour, as staring at the same four walls day in and day out can soon become boring. Incorporating personality into properties is a great way to show enthusiasm and dedication to your brand. If you’d like to enquire about our services or if you feel you need some advice in planning your office refurbishment, give us a call today on 01924 723723.